BetOnline Casino is a household name when it comes to sportsbook wagering. 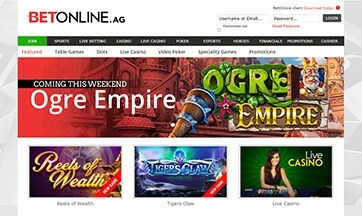 The brand has long since expanded its offerings and is now regarded as an all-in-one gambling site that has something for everyone. BetOnline is today’s go-to option for both veteran and first time players from all over the world, including the US market. Is BetOnline Safe and Legit? BetOnline Casino has a gaming license coming from the country of Panama, with an HTML suffix of .ag, which means that the hosting is located at Antigua and Barbuda. BetOnline is on continuous operation for more than 10 years now and has established a good reputation for those who love to gamble on the internet. They are in fact the same team that owns and operates the Sports Betting Online Casino, and have recently introduced their brand new standalone casino brand, Wild Casino. We published our Wild Casino Review for you to view. These are two reputable brands so we know we are in good hands. A 128-bit SSL encryption protects the site and your personal and financial information from malicious hackers. A quick look at their history reveals no serious complaints in how the company runs their business. 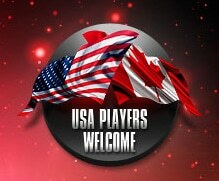 One of the best features of BetOnline is its welcome policy to gamblers living in the U.S., making them a USA Friendly Casino. The BetOnline site welcomes customers from all 50 states, and has the distinction of being the only online gambling platform to do so. What’s more, BetOnline hosts a great deal of banking and betting options, which makes it the top choice for American players looking for some gambling action.  The company’s game foundation is mostly on BetSoft casino software titles, with a few gambling titles from different software providers thrown in the mix. Once you enter the site you can simply choose a game and start playing without downloading anything. The BetSoft library is a popular choice and features one of the best-looking games you’ve ever seen. 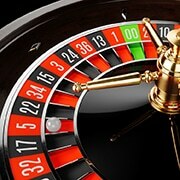 The games boast of high replayability of classic casino to the latest cutting-edge titles available in the market. 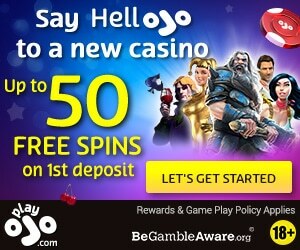 BetSoft doesn’t feature their casino on the downloadable app for the iOS or Android platform, but gamblers can just visit the BetOnline site from their mobile phone. You’ll be redirected to the mobile-optimized site and can immediately start playing while on the go. BetOnline Casino hosts game libraries that are divided into 4 categories- Table Games, Slots, 3D Slots and Video Poker. The collection includes 17 classic table games and a smattering of games with a few rule variations. There are about 6 types of online blackjack, classic games baccarat, craps, 7 casino-style card-based games, 2 roulette wheels (one Euro and one US) and of course, poker. While you can try out the 7 Flavors of Baccarat featured in the Table Games, most players come to BetOnline Casino for the slots. 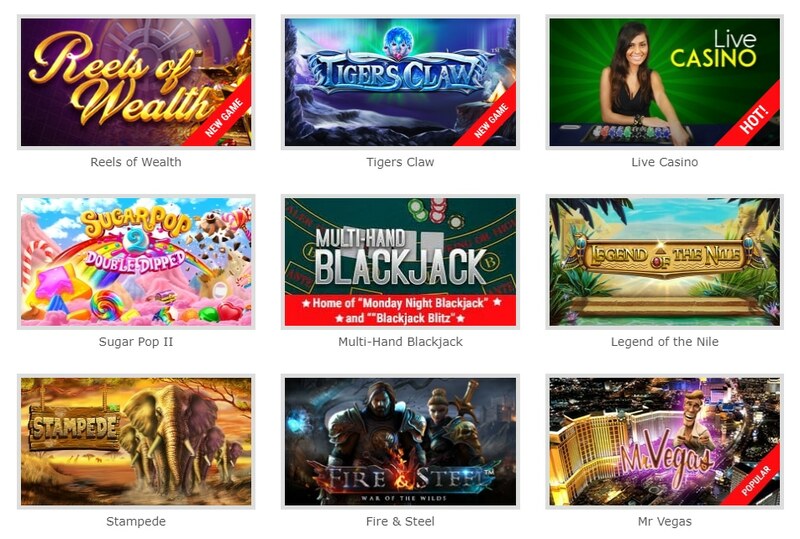 Here, you’ll be treated to around 19 games that have diverse themes and slot bonuses. You can choose according to your preference- the 2 Million, B.C. features an Ice Age theme that’s so addictive it will make you lose track of time. There’s Mr. Vegas, the Slot Father (a spin of the GodFather film franchise), Retro Sci-Fi slots and The Invaders title. Old-school titles can also be found here; the Jackpot Jamba is a classic slot game featuring the standard 5 reel, 9 payline layout with progressive jackpot action. 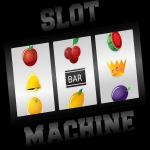 Enjoy the 22 3D video slot games the website has to offer. Here, you’ll have a chance to gamble while marveling at the fine graphics that pushes the gambling industry forward to new heights. A good example of a stellar title is Heist, a game where you play a burglar trying to get inside a bank vault. The concept and execution feels excellent, and it doesn’t make the gambling experience feel clunky. The bonus has you getting inside the vault and playing to get the biggest payouts. At its core, Heist is a 5 reel slot that’s dressed with modern 3D graphics and immersive sound. The range of available video pokers on the BetOnline Casino site will make any online gambler happy; there are about 17 video poker titles all in all. You can play all of them and pick out a favorite, and if you get tired of one you can just switch to the next and resume gambling. Playing with a LIVE DEALER online is available at the BetOnline platform. You can get a $25 risk-free bet once you enter the live casino, which features baccarat, live dealer roulette and blackjack. The attractive croupiers are a sight for sore eyes if you’re tired of seeing in-game graphics. 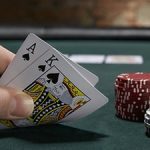 The HD video, streaming technology and VIP treatment all add up to a unique online gambling experience. The poker rooms on the BetOnline site offer a 200 percent match bonus of up to a maximum $1,000 on your first deposit. The bonus is released in a period of 5 increments. You’ll need to rake approximately $6,523 to get the bonus prize and have 120 days to do this. Unclaimed bonuses disappear once the time frame has passed. You can choose from a variety of bonuses to fit your play style and spending preferences. 100% Slots Match Bonus. You get a hundred percent match bonus if you deposit amounts anywhere between $100 to $5,000. There’s a 50-time rollover requirement for this. 25% Reload Deposit. This applies to any deposit made in BetOnline. Enter a minimum amount of $100 and get a 25% reload bonus. 10% Casino Play Cashback. 3 card poker and blackjack players will want to avail of this bonus. The good thing is that you won’t need to register for this. 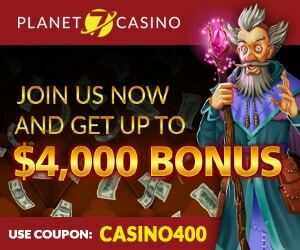 Deposit and playing automatically grants you the 10% cashback bonus. $21,000 Blackjack Tournament Series. The site hosts $1,000 Blackjack Tournaments every week and a grand $21,000 Blackjack Tournament Series. Players who bet more than $75,000 per month will be included in the high rollers list. BetOnline doesn’t really list the benefits you can get for being a high roller, and you’ll probably need to be a member if you want to know the specifics. As for the moment BetOnline doesn’t provide comps to their users. – Credit cards such as Visa, Mastercard, etc. – Money Orders from Money Gram, Western Union, Check Cashing Stores, Wal-Mart, Convenience Stores, Post Office, etc. Any fee transfers minimum of $300 will be covered by BetOnline; this depends on the type of payment. There are minimum limits on each payment type, i.e., Skrill allows players to deposit a minimum of $10 with no maximum limit. Check deposits have a limit of $1,500 for minimum. BetOnline allows you to get your winnings quickly and with minimal fuss. Players will have the option to request a payout, with a $50 credit for processing fees once every month. Some of the best payout methods include P2P payments, Neteller, Skrill, Book to Book, Check and Cryptos such as Litecoin and Bitcoin. Best part is that most withdrawals are processed same day, so they are one of the fast paying casinos. U.S. players will have the option to request a credit card withdrawal as long as they have had the card for over a month and made a minimum of 5 deposits. BetOnline Casino’s customer support can be reached at 1-888-426-3661. Other support methods include email. Keep in mind that this service is available 24/7 but the site doesn’t have chat support as of the moment. Players have the option to call in at 1-800-883-9136 if they want to phone in their bets. There’s no perceptible lag in terms of playing online, which translates to a smooth gaming experience. The live dealer is a must-experience. An open betting platform for US gamblers. Top of the line slot games, versatile betting options, and a USA live casino to boot. BetOnline Casino is the whole online gambling package!